Peer 1 - provides award-winning Managed Hosting, Dedicated Hosting, Co-location, and Network services offered through 15 data center across North America. With over 10,000 businesses hosted on their legendary SuperNetwork™backbone, PEER 1 delivers one of the highest server performance and network outputs in the industry. 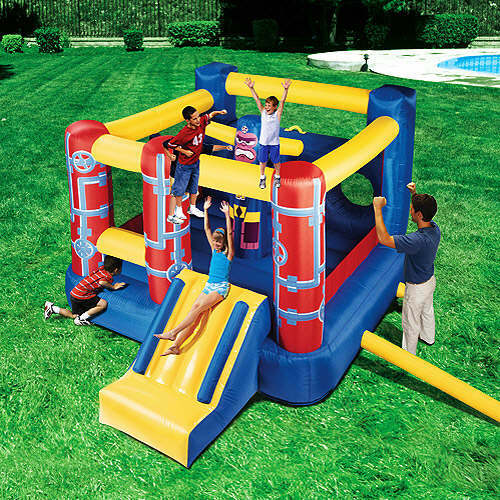 "I came across the Banzai Jump 'n Go Obstacle Course Bouncer on Walmart.com," notes D. Kablanc, "it looks like Walmart needs to hire a new Photoshop artist." "Don't they normally put those disclaimers in the fine print?" 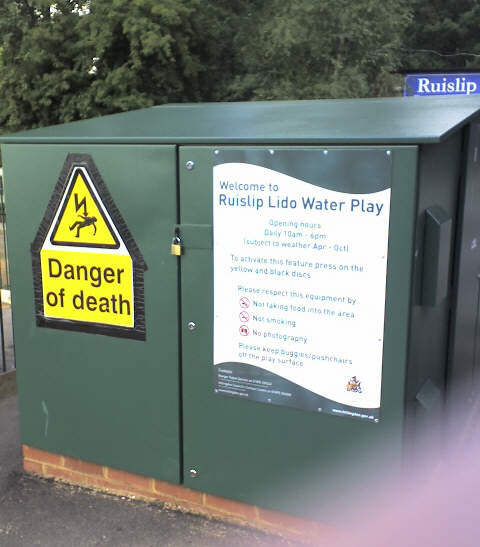 wonders Martin Sapsed, "just seems like a strange place putting it next to the sign promoting the water park." 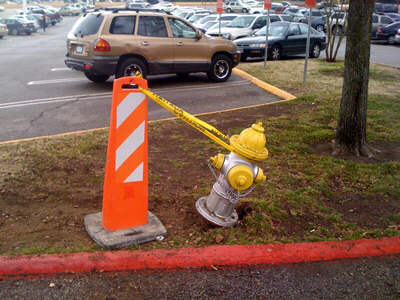 John Spalding writes, "that sure is one Heavy Duty traffic cone." 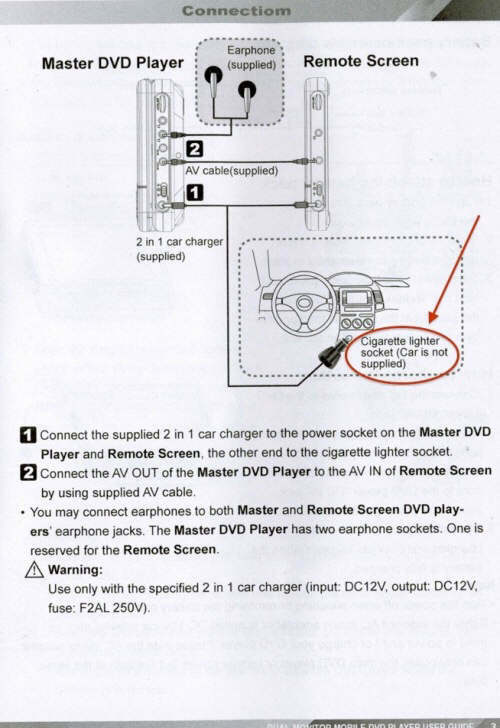 "Wait a sec," Rowan Pope writes, "I thought cars came with all DVD players?" 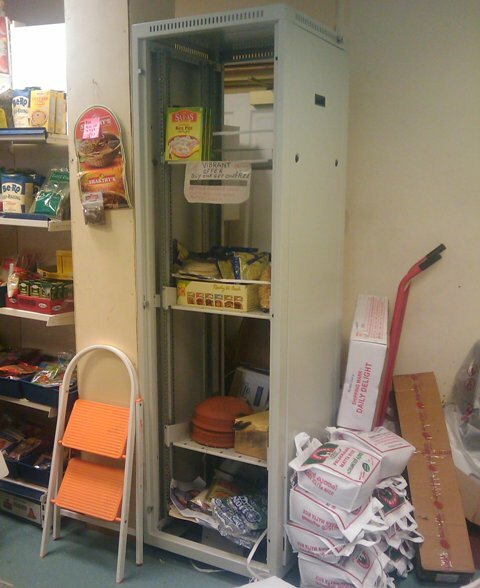 "Ugh," an anonymous reader wrote, "the local newspapers really are't catching up..."
"I was in an Ethnic grocery shop in Glasgow," David writes, "and spotted this rather untraditional use for a 42U data cabinet." "I saw this in a Japanese restaurant in Lisbon," Miguel Lourenço noted, "do fish really say grrr?" 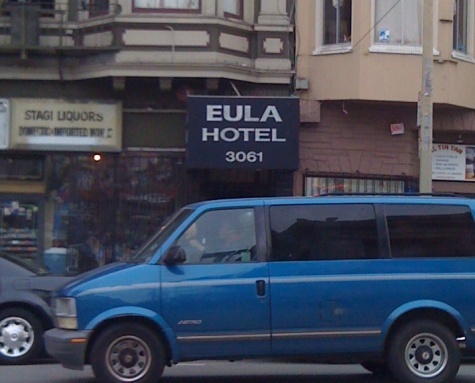 "Ah, the EULA Hotel," writes Samuel Hartman, "I'd hate to see their reservation form!" "I remember this one," Justinas Lelys writes, "it's from when Mickey Rourke is female and Winona Ryder male." 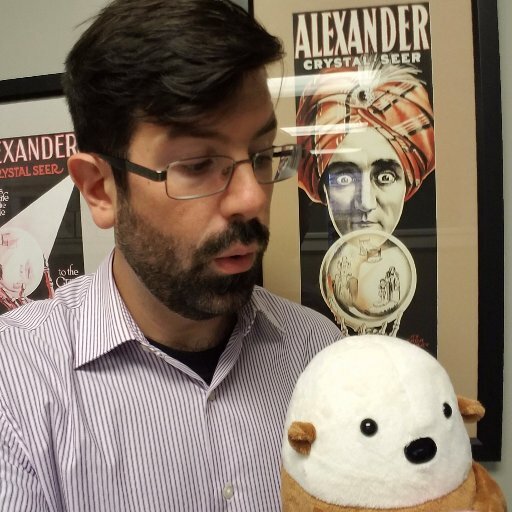 "I can't say I was surprised to see that I'm now being charged a fee for being charged fees," writes Lincoln, "and with the wierd alignment, I have to wonder if they're saving room for the FEE FEE FEE."